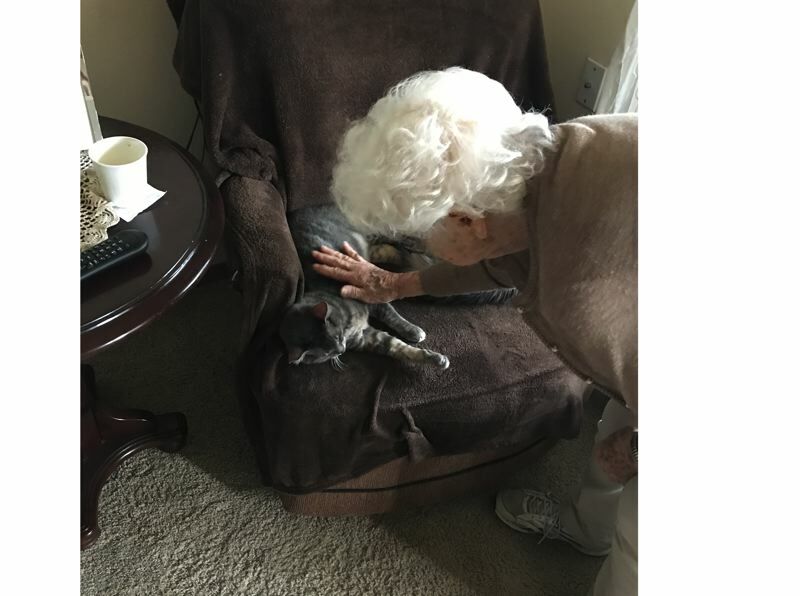 A resident of an independent-living community in Clackamas had given up on being reunited with her cat Skinny before volunteers from Gladstone-based Our Community Cat Rescue stepped in. By March 22, Lenora Anderson, a resident of the Springs Living on Webster Road, had searched for four days, hanging posters, setting three traps and talking to numerous people. Then Janice Saban and some volunteers came over at 7 p.m. with their flashlights and searched and called for Skinny for about and hour and a half all around the campus without finding her. However, at 7 a.m. on the morning of March 23, Anderson found Skinny in one of the traps. "I do believe it was Janice and her volunteers that got Skinny to come closer or to start moving around," said Anderson's son Fred Arn. "Thank you!" 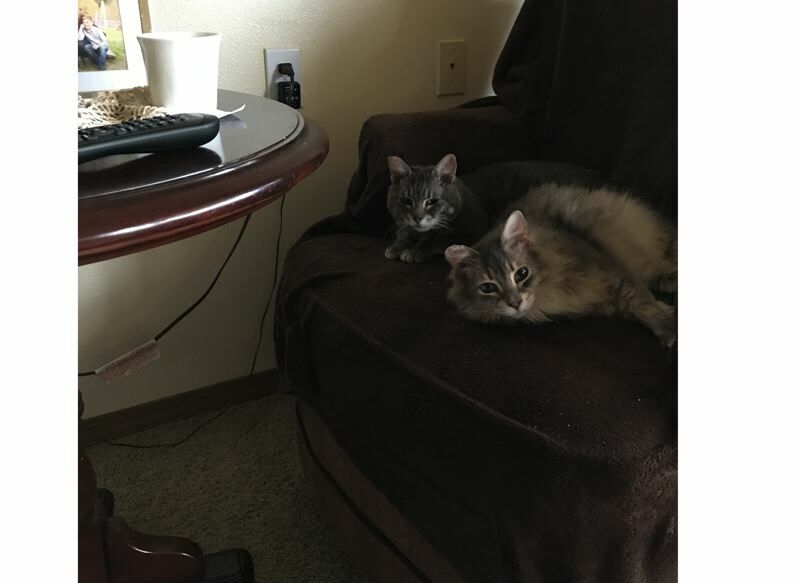 Anderson picked up Skinny and Fluffy from a Beaverton cat-rescue organization about five years ago when she lived in Damascus; they moved into independent living in Clackamas about four months ago. "One good thing about this whole experience is mom is no longer the 'new' person at the Springs; she's practically famous, as everyone knows her name, her cat's name and a happy ending that they can all be a part of," Arn said. "In fact, one resident has already brought to my mom's apartment a new welcome-back toy for Skinny." Gladstone resident Janice Saban has done cat rescue for over 10 years as an all-volunteer effort. In leading many local successful cat rescues, she has followed tips from a pet detective. She says that the first place to look is everywhere in your home, in basements, attics, crawlspaces and under porches. A key technique for recovering a lost cat, Saban said, is the owner's urine. She recommends using a spray bottle or a urined cloth to spread urine in the live traps and along a trail for a block or two away from your home. The small search party with flashlights was looking in trees and bushes for the glare of Skinny's eyes. They would call, pause and listen for meowing. The group is always looking for active members, volunteers and fosters; more information can be found at Our Community Cat Rescue's Facebook page.